Our product range includes a wide range of italian coral beads,ambodhi mangalmani marjaan( in perian) bhaumaratna vidrum ratnadroom ratna, beads, died taiwani red coral beads, tanzanite beads, ruby dyed mani necklace and zircon cut stone. 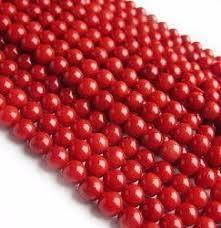 The Red Coral Gemstone also called the Moonga or Praval is a very important gemstone. According to the Indian Vedic Astrology, it represents the planet of Mars which is regarded as a symbol of energy, ambition, vitality and blood circulation. Mars is also thought to be the warfare God in the planet hierarchy. 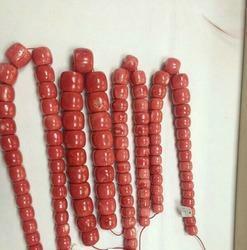 The Red Coral gemstone thus is believed to elevate the energy levels of Mars in the horoscope of the wearer. When a coral polyp dies, its skeletal remains form a calcareous deposit which then transform into the Red Coral. Polyps are tiny invertebrates and live in the depths (20-1000 ft) beneath sea bed in quiet waters. 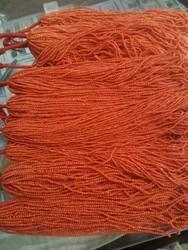 Ayurveda and Vedic Astrology list many benefits of the Red Coral Gemstone. Let’s have a look at the top 10 benefits. 1. 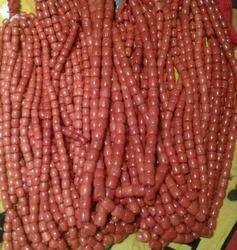 One of the first and foremost benefits of Red Coral Gemstone is that it gives the power to overcome hurdles and enemies. Since the Coral represents Mars which is considered the god of warfare, it provides the courage to the individual to defeat its foes and conquer hindrances. 6. 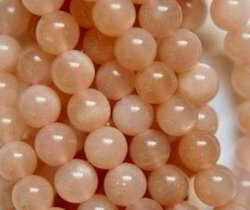 If a person has a Manglik dosh in his/her horoscope which can lead to disagreements and the likes in personal relationship, then wearing a Coral gemstone can help sweeten the relationships again. This however should be done only after thoroughly analyzing the birth chat. These crystals come in a number of colors, including blue, purplish blue, colorless, yellow brown or grayish blue. These lovely violet blue stones primarily activate the heart chakra, which links with the third eye chakra via the throat chakra. This linkage of the three chakras is a powerful vibration that will open you up to a totally new way of looking at the world. As the throat chakra is also a participant in the process, this will open up your communication abilities. As this new type of vibration comes through, the ﻿throat chakra you will begin to aid you to communicate from a heart based perspective. 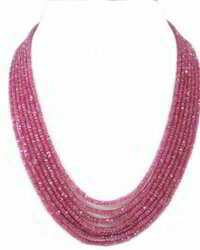 As a quality focused firm, we are engaged in offering a high quality range of Ruby Mani Necklace. 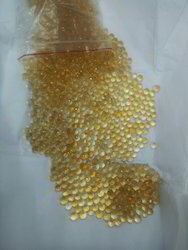 Being a customer oriented enterprise, we are engaged in providing a wide array of Zircon Beads. 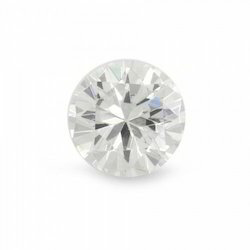 We have attained a notable position in the market by offering the finest quality array of Natural Zircon Stone. Emerald in the modern world is known as the stone of communication. 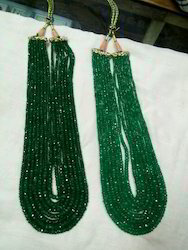 Wearing emerald studded beads enhances communication skills. It helps to express your thoughts in such a way that it impresses the other person. A must stone if you are going for interviews. 2. 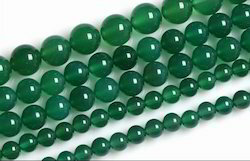 The beautiful green stone is a boon for people with low confidence. It fills them with new energy and boosts confidence. It opens up new avenues. If you have a low self-esteem then get emerald today and see how your world changes for good. 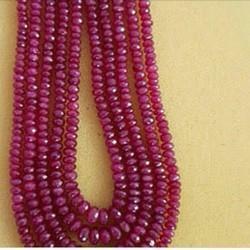 Ruby is also a very beneficial gemstone and is called as the king of gems. Like other gemstones, this gem also has its own benefits and effects. 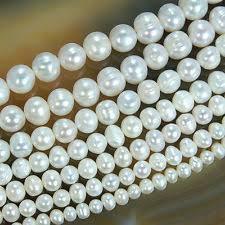 It is also being referred to be a good omen during engagement ceremonies and weddings. It is said that this gem enhances faithfulness, friendship and love. Apart from increasing beauty, strength and power, it can also enhance the prestige of a person. This gemstone is also called out to be having lots of medicinal value according to the hakims. 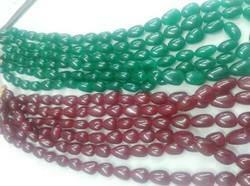 So, both of these gemstones are beneficial for the people and are beneficial for the wearer. Lapis Lazuli stones are said to stimulate wisdom, good judgment, truth and understanding. It also aids in the process of learning by enhancing memory based qualities. 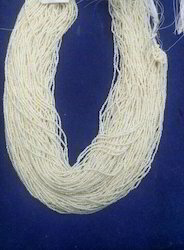 It is also believed to attract promotion and success. It is also considered to b a stone of friendship and brings harmony to relationships. 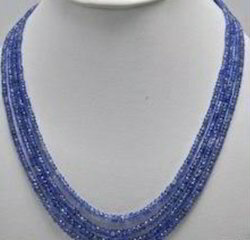 Lapis Lazuli stones are extremely beneficial for executives, journalists and psychologists. Astrologers advise that Lapis Lazuli be worn in Silver or Platinum. GOLD should be the last choice and should generally be avoided. Lapis Lazuli is worn in the middle finger of the correct hand (The Left Hand for left-handed people and the Right Hand for right handed people). Saturday evening of Krishna Paksh (waning moon) is the best time to wear a Lapis Lazuli. 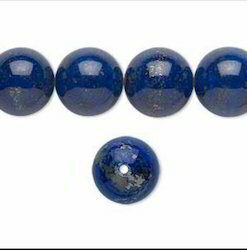 Which Lapis Lazuli stone should I buy ? Lapis Lazuli stones should need to exhibit brilliant internal fleck of golden or brown color. 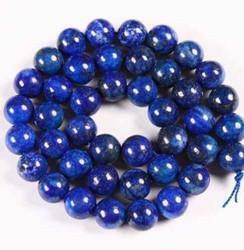 Lapis Lazuli gemstones are usually of beautifully intense deep blue color. Wearing one of our beautiful pieces connects you to the past. Historically, gemstones have been used in most cultures for various purposes. 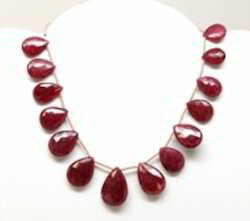 According to author, Maria Leach, in early times gems were used to facilitate conception and induce love and hate. 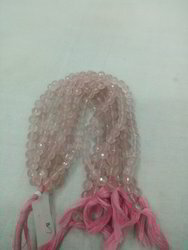 Nowadays, wearing gemstones is not affiliated with any particular culture or religion. Everyone can benefit from the beautiful gift from history that is gem-wearing. Each gemstone has unique healing powers. But, how exactly do they heal? Every gem represents a planet and has the ability to draw energy from its planet and direct it into you. For example, red or pink ruby represents the sun. Just as the sun gives life to the natural world, so too does the ruby revitalise and empower the wearer to take responsibility and leadership in his or her life. A further perceived medicinal benefit is to assist with indigestion and stomach conditions. Sounds too good to be true? It’s not. Don’t just take our word for it. Trust thousands of generations of gem-wearers. The energy of the gemstones neutralizes the energetic blockages that cause poor heath and nourish all aspects of your being, energizing and inspiring you to live the life you deserve. 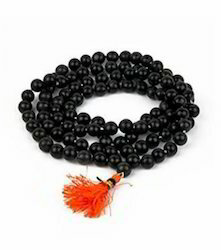 Handcrafted with 108 semi-precious gems, the weight of each Mala necklace can have a calming effect on the wearer. In the bustle of our modern lifestyle, gemstones can help you to get your calm on, particularly if you choose Hematite or Blue Lace Agate or Sandalwood stones, which relieve anxiety and stress and have a ‘grounding’ effect. Your Mala necklace is a visible reminder of your purpose. According to experts at Mindtools.com, carrying your intentions with you and regularly referring to what you want and why you want it is a known way of achieving your purpose. Whether you wear your signature piece daily, overnight or on special occasions, it also doubles as a practical meditation tool. 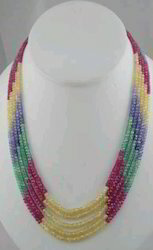 Worn around the neck, it will provide profound overall therapeutic benefits. 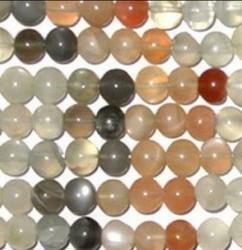 However, the gemstone spheres are useful when counting mantras or affirmations. Alternatively, the stones can be bundled into the palm of your hand and placed on the area of the body that you wish to direct energy and healing towards. Gems can cleanse anything from fear, to self-doubt, to recklessness. 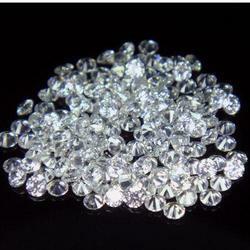 It is important that you purify your gemstones to clear accumulated energies regularly. Find out more about cleansing and caring for your gemstones here. 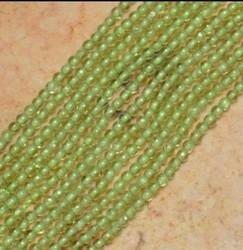 It has been worn as an amulet to bring good emotions to the wearer, while protecting those of a sensitive nature. 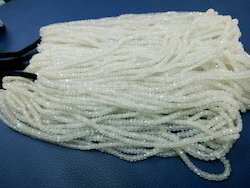 It can reunite lovers who have quarreled.Moonstone is also considered a good luck stone. The Benefits of Wearing a Therapeutic Malachite NecklaceExcerpt from Gemisphere Therapeutic Gemstones by Michael Katz. Malachite promotes harmony and improves communication throughout your physical body. As Malachite's energy flows through you in a rhythmic, wave-like motion, it erodes discordant energies and alerts your entire body to its own disharmonies. Malachite's waves awaken every cell to what is happening in every other cell, so that your body can rally its healing forces to combat disease and restore harmony. As isolated and diseased areas come back into harmony with the rest of the body, the body begins to function like a fine-tuned instrument. Malachite promotes harmony and improves communication throughout your physical body. Its soothing energy moves down and up the inside of your body in rhythmic waves, alerting your body to its own disharmonies and healing ever more deeply seated areas of distress. As more of these areas are restored to health, the strength of Malachite’s flow increases. Physical disharmony can occur when parts of the body do not know what other parts are doing. If your body has no awareness that some of its parts are not working well together or that disharmony is brewing, it cannot call on its forces to fix the problem. This situation is much more common than might be expected and underlies many of the conditions people experience. Malachite lets every cell of the body know what is happening in every other cell. When one part of the body knows what is happening in another part, it becomes easier for the body to call all its resources together to combat a disease. Let's say, for example, that your liver has a cyst tucked away in it and that your mind has no awareness of it. The rest of your body may also have no idea it is there. 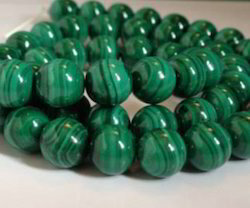 Malachite can help the physical body discover such a cyst. Once alerted to the existence of the cyst, your body's survival mechanism will naturally call on your immune system, eliminative organs, and whatever other systems are needed to start working on that cyst. Blue Sapphire heals, nourishes, and brings order to the mind. Its energy permeates the fabric of the mind, clearing out mental "garbage," teaching mental discrimination, and bringing clarity and perspective to thoughts. 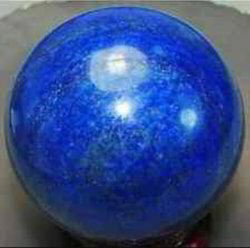 The blue ray carried by Blue Sapphire disintegrates disharmony in the physical head and profoundly benefits all functions centered there, including the eyesight and hearing. 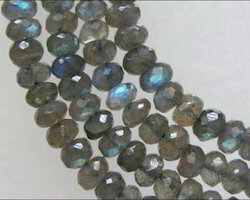 Blue Sapphire expands mental potential and enhances the ability to distinguish between one’s mind and one’s higher self. 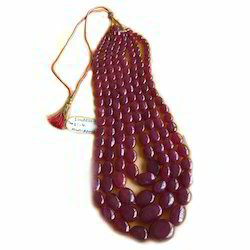 Ayurved, the ancient Indian scripture dealing with medicine, tells about a number of uses of Ruby Ash (Manik bhasma). It is said to prolong life and control the three vital elements Vays (air), Pitta (fire and Kapha (water). A number of diseases like Tuberculosis, Pains, Boils, Ulcers, Eye Troubles, Constipation, Effects of Poisons can be cured by it. The burning sensation in the stomach and the limbs can also be cured by it. Heart diseases, mental problems, problems of the bones, headaches, loss of glow in skin, loss of appetite and indigestion can also be cured by the Red Cosmic Rays of the Ruby. The basic chakra or the mooldhara chakra contains a lot of Red energy in all living beings especially humans. The quantity of red colour determines the energy level of the person. If the basic chakra is depleted of the red energy due to any reason then the person has number of problems – like weakness, lack of heat in the body, circulation of blood is disturbed, the healing of injuries take a longer time to get alright and the body is unable to fight the attacks from bacteria and the person gets sick again and again. All the major chakras, when seen Clairevoyantly, have some red colour in them. Thus, the wearing of Ruby which transfers a lot of red cosmic energy into our system helps strengthening all the major chakras of the body.Where bones are brittle or fractures are not healing this can be an effective remedy.